The cornerstone of Disability Rights is the right to self determination — which includes the right of each person to control his or her medical or lifestyle choices. Disability Independence Group assists its clients to maintain this right and has been in the forefront of assisting its clients to own and use animals to lessen the effects of a disability, or to improve a person’s condition. In conjunction with medical or mental health professionals, Disability Independence Groups works with our clients to request accommodations from their housing providers, employers or educational institution, and then advocates for our clients with interactions with the entity and, then, if necessary, file complaints in court or with the appropriate agency. Frequently Asked Questions about Service Animals and the ADA | PDF This eight-page document provides guidance and answers questions about the ADA’s service animal provisions. Revised ADA Requirements: Service Animals | PDF This publication provides guidance on the term “service animal” and the service animal provisions in the Department’s new regulations. “Service Animals and Assistance Animals for People with Disabilities in Housing and HUD-Funded Programs” Department of Housing and Urban Development guidance on how the Fair Housing Act and the Americans with Disabilities Act (ADA) intersect regarding the use of service or assistance animals by persons with disabilities. Florida’s New Service Animal Statute – Section 413.08 – An analysis of the new Florida law, how it protects veterans with psychiatric service animals and all other disabilities. Kiddle’s Ordinance – How DIG helped Nancy Alfonso vindicate the rights of all users of service animals by ensuring that service animals have emergency care. Kiddle Ordinance Passes in Hallandale Beach – By Michele Lazarow, Hallandale Beach Commissioner – If our first responders are able to take our human family members to hospitals during times of crisis, why shouldn’t our service animals be treated the same? Teacher with Multiple Sclerosis denied Service Dog in her own home – the story behind the Fischer case – how a woman with multiple sclerosis vindicated her right to have a service animal in her condominium. A veteran is permitted his support animal in his home – the story behind the Bhogaita case. A six year old’s fight to have his seizure dog at school – The story behind the case above of six year old Anthony’s fight to keep his seizure alert dog at school. Anthony wins his battle to keep Stevie at School!!! – On February 10, 2014, United States District Court Judge Beth Bloom ruled that Broward County School District violated Anthony Merchante’s rights, as a child with a disability, by denying his right to have a seizure alert animal accompany him at his elementary school. 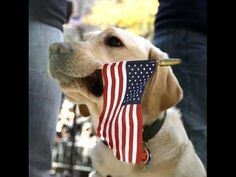 Statement of Interest of the United States of America on the interpretation on the ADA’s service dog regulation. Pledger v. SAS Transportation – Jeff and Suzanne Pledger have been on a number of cruises, and on January 13, 2014, they flew into the Ft. Lauderdale Airport for a five day cruise departing out of the Port of Miami. Prior to the flight, the Pledgers contacted SAS Transportation, Inc. for transportation to the cruise ship and, as a courtesy, they disclosed to the transportation company that there would be a service dog included in the requested trip. The owner of the transportation services declined the transportation request because there is no room on the vehicle for a service dog and it would make other passengers uncomfortable. Human-Animal Interaction – Can it prevent disease. Teller v. The Cove Condominium Assn. – “The Cuddle Effect” – Cuddles, the Persian cat, was worth a million dollars to Izak Teller and his wife, Barbara. Because of Cuddles, they were rejected from the ability to live in a fully renovated unit overlooking the Intercostal in Palm Beach, and bought a less desirable unit that they were required to renovate. The matter settled, and the Tellers received a settlement of $275,000 to vindicate their rights under the Fair Housing Act. A Landlord cannot force you to declaw your cat or charge additional amounts because of your emotional support animal! – Under the Fair Housing Act, rules, policies, or practices must be modified to permit the use of an assistance animal as a reasonable accommodation in housing when its use may be necessary to afford a person with a disability an equal opportunity to use and enjoy a dwelling and the common areas of a dwelling.